Love your shiny new car? Still favor the one you’ve been driving for a while? Either way, most car owners try to keep their car looking as attractive as possible for as long as possible. That entails continual car washes, multiple wax applications, and repetitive detail work. Yet despite these preventive measures, scratches, dings, bug marks, fading, and damage caused by flying road debris still put a “dent” in a car’s appearance. 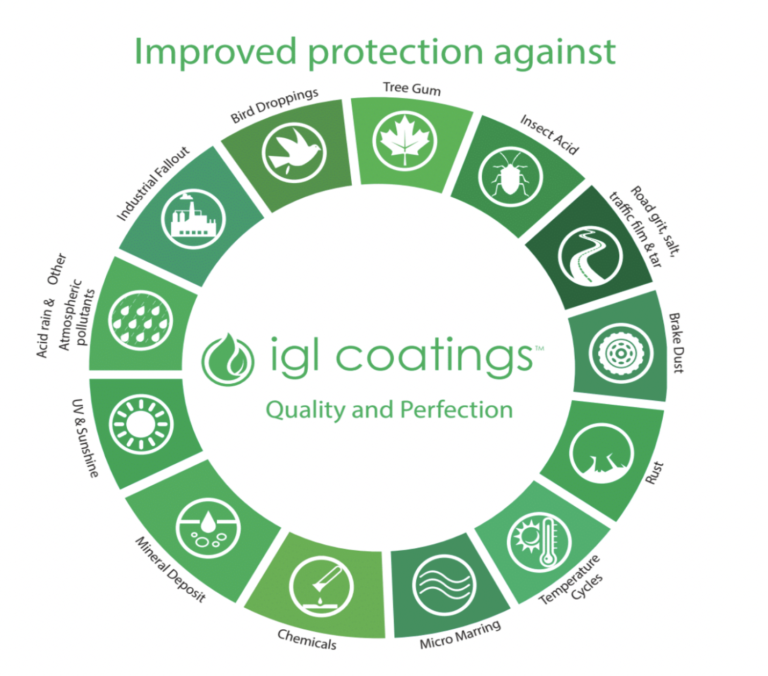 IGL Coatings add protection to your car and repel surface degradation for years to come. Just one application shields hoods, windows, door edges, handles, side-view mirrors, rocker panels, rims, fenders headlights…even what’s under the hood and more! 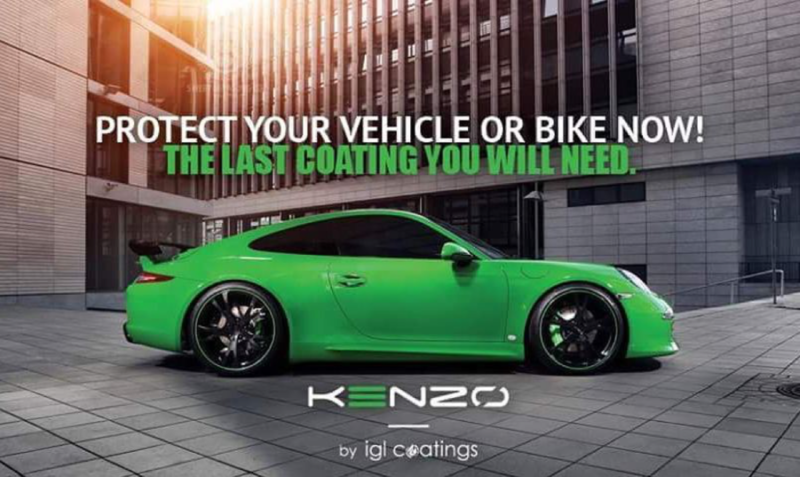 With remarkable long-lasting results, Kenzo is internationally recognized as an entire vehicle protection system. With its amazing Hydrophobic technology, Kenzo creates a very low surface tension. Dust, dirt, tree sap, acid rain, etc. merely sit on top of a Kenzo coated surface and easily wash off with little effort. Rid of such contaminants, your car maintains a luminous, glass-like gloss that radiates a rich shining glow reminiscent of a bespoke wax. With every glance your car never looked better. The appearance that Kenzo gives your vehicle is simply unmatched. With Hydrophobic technology, washing off contaminants with a garden hose is a serious “game-changer! Magnifies the brilliant shine of the car’s original paint and clear coat. With IGL’s durability, waxing is needed only once every four years. Formulation of purest raw materials create a layer of a glass-like, stunning gloss finish. Preserves a perfect paint coating to last over time. Specialty applications to cover exterior and interiors areas add protection and vibrancy to a vehicle’s entirety. Non-hazardous and contains no non-carcinogenic low volatile solvents known to cause foul odors. Increases resistance against scratches, marring, and dullness. Adds value to the worth of your car. IGL provides comprehensive solutions to remove noticeable surface damage caused by dirt, pollution, and UV rays. It never ceases to amaze our customers when the appearance of their vehicle is miraculously restored to the look of a brand new car! IGL’s variety of specialized coatings are solvent free and offer unparalleled correction and gloss enhancement to all existent worn surfaces, including the engine. 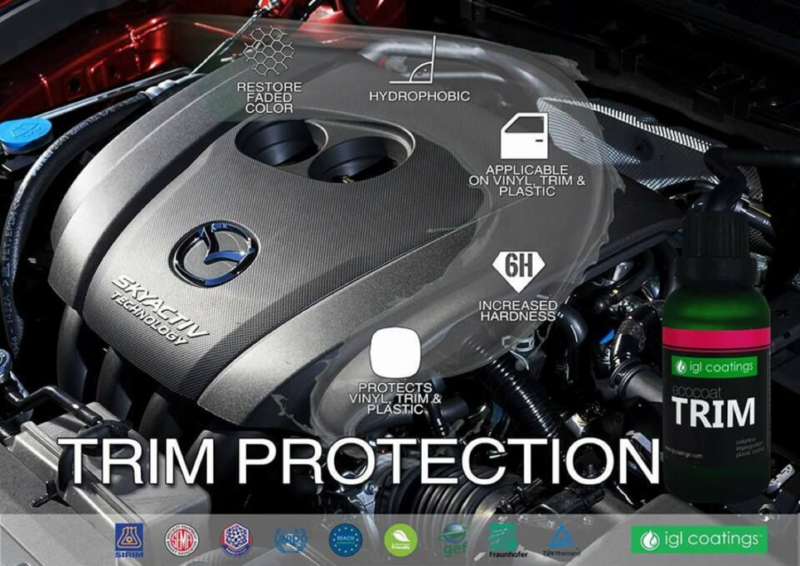 Additionally, IGL developed an Ecocoat coating that offers “blow your mind” protection to preserve the original condition of your car’s interior. Imagine, no more worries about accidental spills or stains to your luxurious leather or fabric upholstery. Watch the video and be amazed! 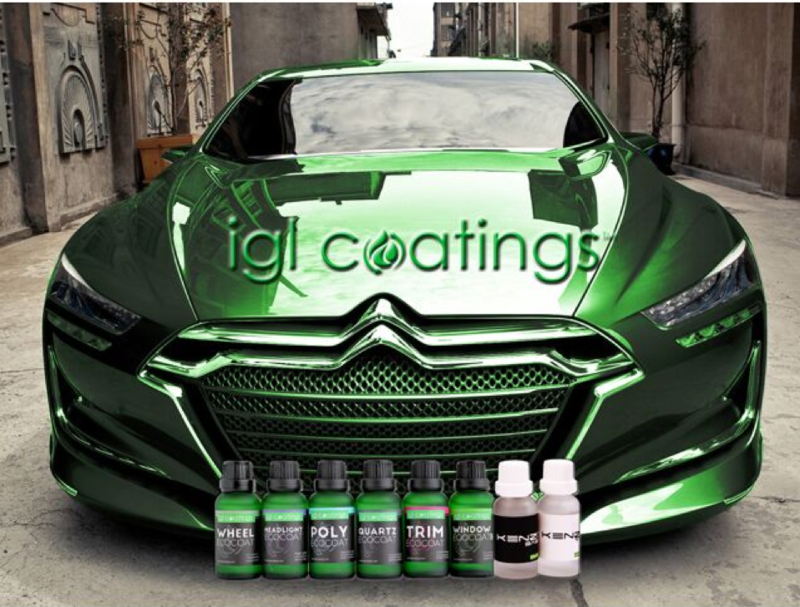 IGL Coatings are redefining the detailing industry with the world’s most advanced vehicle protection system. From easy maintenance, lasting protection and illuminous shine, IGL’s advanced technology offers a wide range of solvent-free and waterborne coatings to bring the finest care to your vehicle’s exterior and interior. Our trained, certified IGL coaters welcome the opportunity to add unrivaled beauty and lasting, durable protection to whatever you’re driving. Come visit us for an unforgettable Kenzo experience…. and when you leave, don’t be surprised to see heads turn.